In the spring and summer of 2011, construction began on the Oro Dell Bridge. The Oro Dell Bridge is located approximately two miles west of La Grande, Oregon in Union County. It runs adjacent to Interstate 84 and spans the Grande Ronde River. 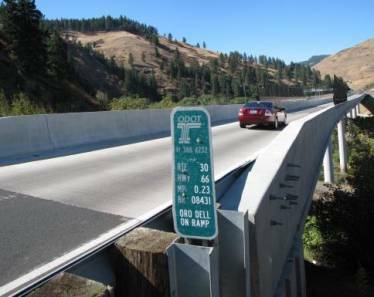 Oregon Department of Transportation identified the need for major repairs and preservation performed on the bridge in order to maintain the continued use of the structure. 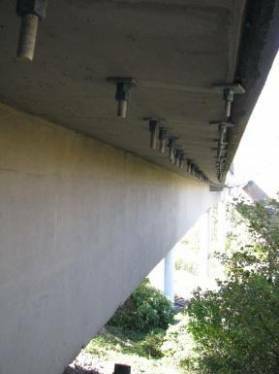 The symptoms requiring immediate attention and repair included; cracks in the seal of the box girder, bridge rails on both sides needed to be replaced, bearings needed to be repaired, replacement of the expansion joints, and strengthening of the beam ledges. Fencing along the rail to provide protection for the railroad was also required as well as the application of a micro silica overlay to the entire deck of the bridge. The project was estimated to start in the spring or summer of 2011 and had an estimated completion date of late 2011. This project had a contract cost of approximately $2.5 million dollars through the Statewide Transportation Improvement Program, which was on the state’s priority list for bridge repair work at the time. Due to the narrowness of the bridge width being only 23.7 feet, the bridge would need to be closed during the construction. The closure was expected to take place over several months. 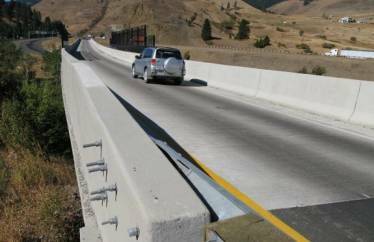 The highway contractor in charge of performing the repairs contacted Portland Bolt due to the large quantity of domestically made, custom fasteners required as well as all of the fasteners needing to be hot-dip galvanized. Portland Bolt is regularly involved in Department of Transportation bridge projects due to our bolts being domestically manufactured here in house in addition to the hot-dip galvanizing. In total, Portland Bolt provided approximately 20,000 pounds of custom anchor bolts. These custom fasteners consisted mainly of 5/8” and 1” diameter all thread rod as well as 1” diameter rods with threads on each end, which were then bent at a 35 degree angle. All of the anchor bolts were manufactured to the F1554 Grade 55 specification. In addition to these anchor bolts, there were custom square anchor plates fabricated for the bottom end of the rods. Although the project was fast-paced, all of the required fasteners were delivered on time to ensure that the contractor’s schedule was kept.